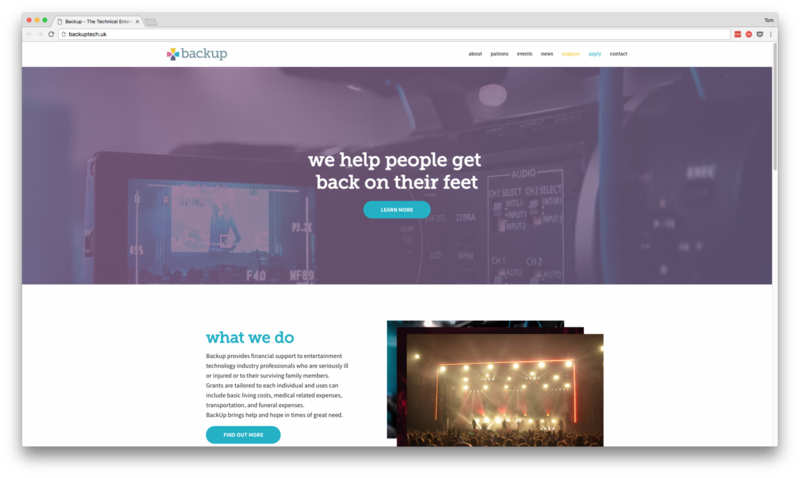 We’re very pleased to launch our new site for the UK Charity – Backup. The website is designed to be a portal into what we do. Showcasing our latest events and news and allowing you to support the charity by making donations online. If you are interested in keeping up to date with events you can sign up to our newsletter. We will let you all the latest news as well as keeping you informed of Backup-days and events. Interested in supporting us or applying for a grant?